“Everybody deserves a good love story” is the tagline for this movie, and the viewers get a surprisingly wonderful one here. 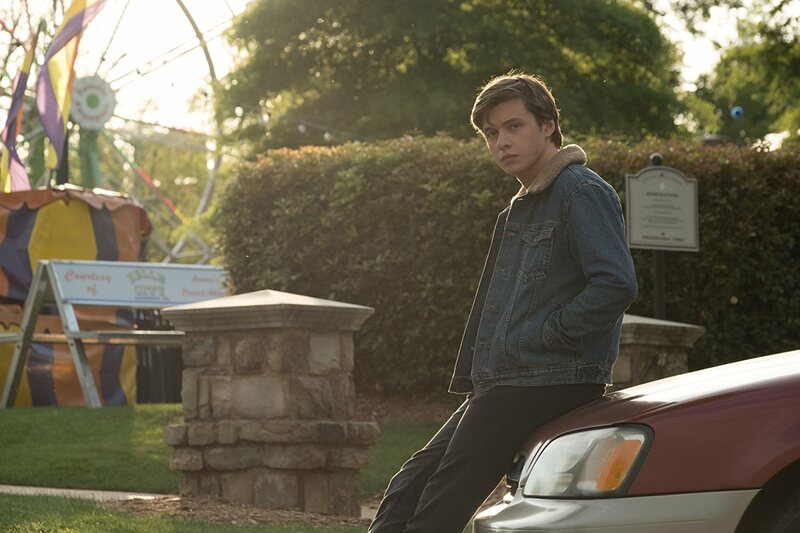 Love, Simon feels like a modern day John Hughes coming-of-age story that follows Simon (Nick Robinson) as he counts down the last 200 days of high school. He has a loving family at home and a close group of friends he hangs with every single day at school. Most importantly, however, he has a secret – he’s gay and nobody knows. Simon is aware of his sexuality but never really had any courage to come out before graduating. It’s not until he’s inspired by another anonymous student’s coming-out post on the school’s online gossip column that he finds the courage to begin talking openly about it – but only anonymously with the blogger. Of course, being so open with each others feelings sparks an online relationship between the two, but neither of them know who each are yet. The film is adapted from a 2015 young adult novel Simon vs The Homo Sapiens Agenda (smartly and thankfully renamed for the screen) and written for the screen by Isaac Aptaker and Elizabeth Berger, whose names you may recognize as co-showrunners for the smash NBC hit This Is Us. If you know anything about This Is Us, it’s probably its emotional impact on the viewer and Aptaker and Berger transition that rollercoaster of emotions to this screenplay masterfully under the direction of Greg Berlanti. The film plays off wonderfully as a high school romance/comedy with an element of mystery to it. As we follow Simon through his days, he begins imagining who the secret identity of his emailing partner “Blue” might be and provides quite a bit of comedy as well as heartbreak throughout the film. Berlanti is masterful in leading the viewer on a journey through the life of Simon and keeping them guessing in this regard. 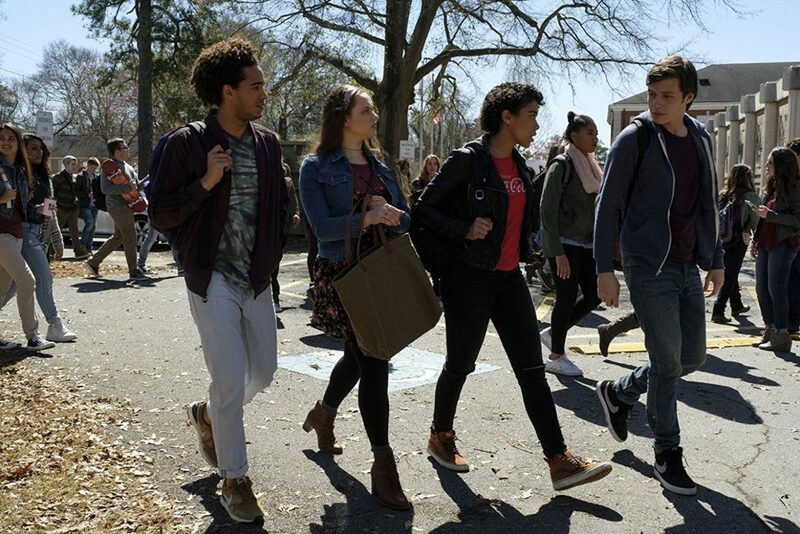 Simon’s secret becomes jeopardized early on when fellow classmate and theater student Martin (Logan Miller) discovers a compromising email left open in the school library and uses it to blackmail Simon into helping hook him up with one of Simon’s closest friends, Abby (Alexandra Shipp). You’d be correct in thinking this sounds like a cheesy attempt at creating a physical antagonist in the film, and though Martin’s arc feels forced at times in driving the plot, it never really bothered me too much outside of the expected disdain toward him for his motivations. While what he does is wrong in so many ways, I saw him as just a kid desperately reaching out for help in a regrettable way and still held some redeeming qualities about him at times. What I found the most enthralling about the film was how real these characters felt. Jennifer Garner and Josh Duhamel are wonderful additions to the cast as Simon’s parents and you can tell from the start they’re a loving and supporting family and later provide some genuine emotion that will tug at your heart. Simon’s best friend, Leah (Katherine Langford, 13 Reasons Why), provides a lot of emotional support for our Simon, as well as some genuine, heartfelt scenes in the latter half of the film. I’d also be remiss not to mention Tony Hale (Arrested Development, Veep) as well, who steals the show in nearly every scene he appears as the phone-jacking principal who has a genuine passion for his students and their well being. Robinson has come a long way since Jurassic World and last year’s Everything, Everything and shines brightest here. Following him through the entirety of the film allows the viewer to feel every sense of his emotional ups and downs as well and I was very impressed with how well he was able to express as such. In the heat of being blackmailed, Simon makes some very hard choices and it just adds more layers to the complexity of his burdens. It’s not often a teen film comes along and says something so important and does it so elegantly. This isn’t just a throwaway cash grab with little substance that a studio put together cheaply to make a few bucks and give teens something to do on the weekend. 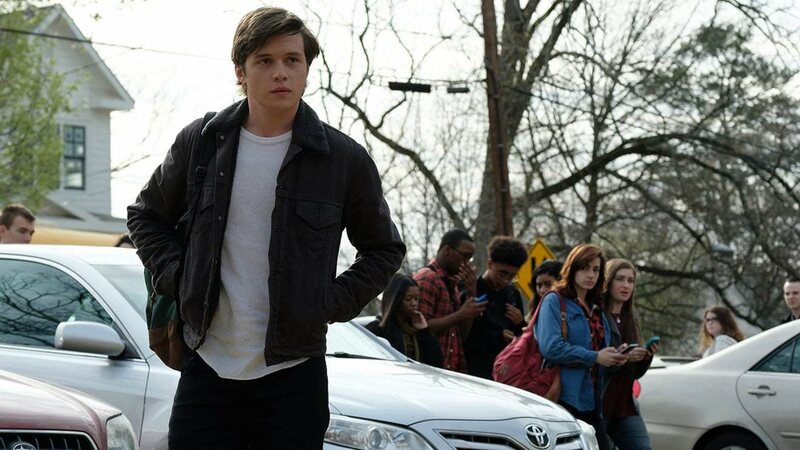 No, Love, Simon has a great message and deserves to be seen. I hope to see it have a lot of success its opening weekend and see positive discussions begin as a result.